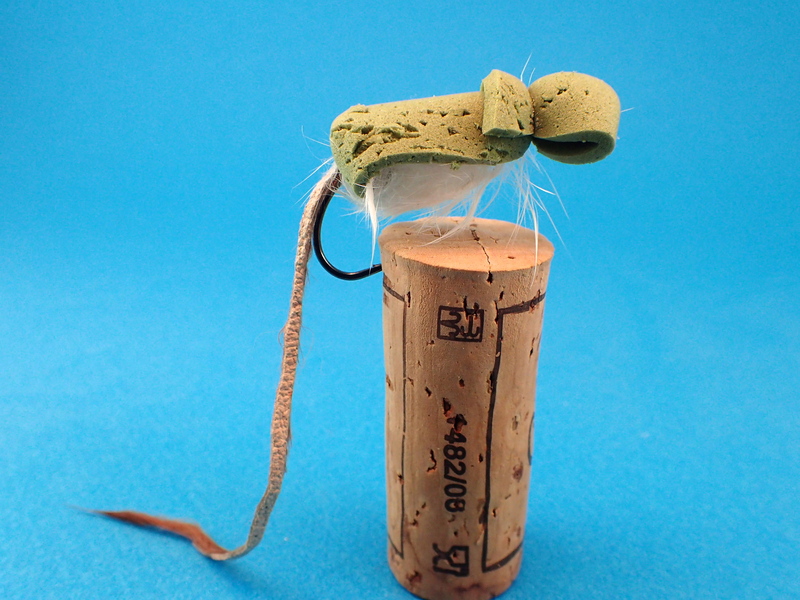 The Master Splinter is an impressionistic mouse pattern I put into heavy rotation this summer. You can read all about it on the J.Stockard blog by clicking here. Mouse flies like the Master Splinter bring out the worst in big Farmington River browns. Farmington River Report: I have 20. Do I hear 21? Some fish are gifts. Others are earned. I got a little of both on this one. Earned by putting in my time for the past six weeks, then slogging through woods and water for thirty minutes on a steamy water-pouring-down-your-face August night, dodging beavers and raccoons and who knows what else just to get to this bloody out-of-the-way spot. Then, gifted with a sharp tug just five minutes into the fishing. Battle details: taken in water moving at a good walking pace. The hit came as the dead drift transitioned to the swing. Two sharp tugs, then hook set (it has been reaffirmed this summer that the big ones rarely miss if you let them finish the job). Once hooked, the fish sounded as is the habit of larger trout. The interior dimensions of my net are 17×13: It took multiple attempts to net him, including one botched swipe where aluminum rim collided with spotted flank in a manner it probably ought not. The fly was an olive over black Master Splinter foam-backed mouse. For some reason, the walk out seemed quicker. Because if the gator brown photos come out lousy, you still have a record of a good night. Evidence from a recent outing. This fly is called the Master Splinter (not my design). You can find the pattern recipe if you do an online search.